يقع فندق Motel Warrnambool، المصمم ليناسب كل الضيوف سواء كانوا من رجال الأعمال أو السياح، في مكان ممتاز في أحد أكثر المناطق تفضيلاً في هذه المنطقة. يمكن من هنا للضيوف الاستمتاع بسهولة الوصول إلى كل ما تقدمه هذه المدينة النابضة بالحياة. سوف يعشق النزلاء موقع هذا الفندق، فهو قريب من أهم المعالم السياحية في المدينة . استمتع بالخدمات الراقية والضيافة التي لا مثيل لها بهذا الفندق في هذه المدينة رائعة الجمال. يقدم الفندق فرصة للاستمتاع بشريحة واسعة من الخدمات بما فيها: واي فاي مجاني في جميع الغرف, خدمة التنظيف يوميًا, خدمة غسيل ذاتية, واي فاي في المناطق العامة, صف السيارات . ادخل إلى واحدة من الغرف 15 وتخلص من عناء نهار طويل بمساعدة مجموعة كبيرة من الخدمات كمثل تلفزيون بشاشة مسطحة, سجاد, قهوة فورية مجانية, شاي مجاني, بطانية كهربائية الموجودة في بعض الغرف. كما أن مجموعة الخدمات الواسعة الموجودة في الفندق لضمان راحتك تترك لك الكثير من الخيارات لقضاء وقتك أثناء فترة إقامتك. مهما كانت أسبابك لزيارة المدينة، فإن Motel Warrnambool هو الخيار الأفضل لإقامة مثيرة وممتعة. Got upgraded to a bigger room :) For 88 bucks, it was value for money! Host was friendly and provided detailed instructions in room heating, places to eat, shop and sightsee. Near to food places and shopping mall. All facilities within room working. Great! Stayed at this motel after catching the sunset at The 12 Apostles. It is quite a distance away from the 12 Apostles, as the nearest town would be Port Campbell, but I found the drive to Warrnambool quite okay though. 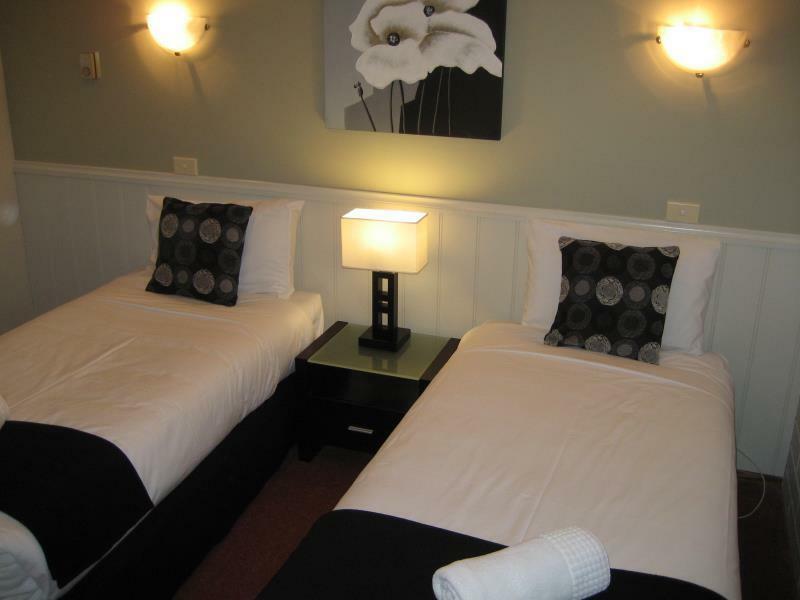 Went on towards the Grampians after that, and so this motel was a convenient place to stay in between the 2 road trips! Only hot plate was provided, slow heat up, hard to cook. So not recommend cooking if you stay here. Hungry Jacks and Woolworth are nearby. Comfy beds with electric blankets (perhaps since this thing is not common in HK so I regarded it as a plus point) ! We couldn’t use the couch as the people the night before had urinated on it. Even though the tried to clean it the smell was still there. The manager was very apologetic and took $10 off the price. At 7 pm three kids were in the pool and were very excited and were asked to keep it down. We arrived at the Motel very late in the night but the staff was very helpful. He advised us where to grab dinner, suggested our visit to Tower Hill (which was beautiful), and even changed our room to a bigger and cleaner one when the original one smelled of medicated oil. The staff was a very fatherly figure and we were grateful to him. Got a free upgrade for one of the rooms. I think we were the only family who checked in for the night in this motel. Owner was friendly and provided lots of information and went to turn on the lights and heater for each of our room as we prepare to unload our luggage from the vehicle. It is a great place to stopover along the Ocean Drive. There are nearby food, petrolley station anf shopping malls to rest and relax while enjoying the drive. Staff is very helpful. 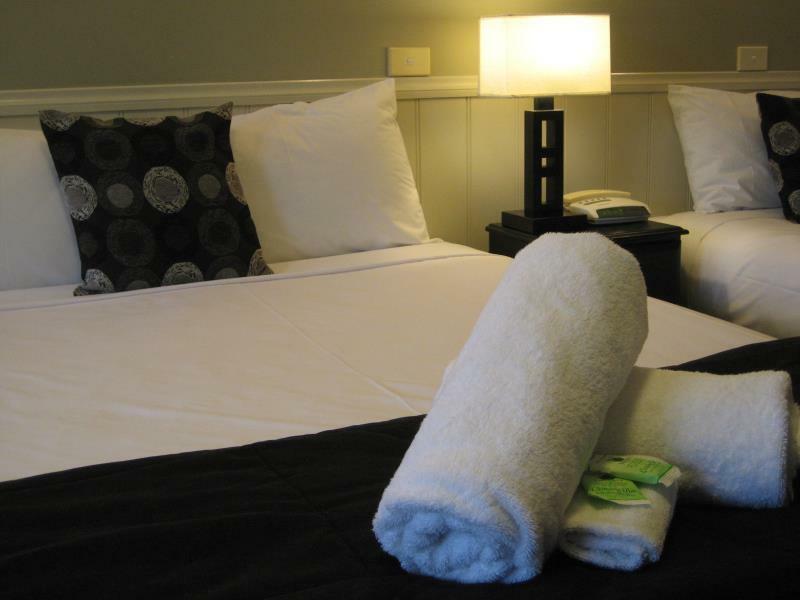 The room is clean, warm and well-equipped with ketchenette. They have heated mattress under the bed cover enhanced the comfort during the cold night. A basic room, basic facilities, however, compared to other facilities on our 2 week trip, this was expensive for what it was. Basic Motel room. 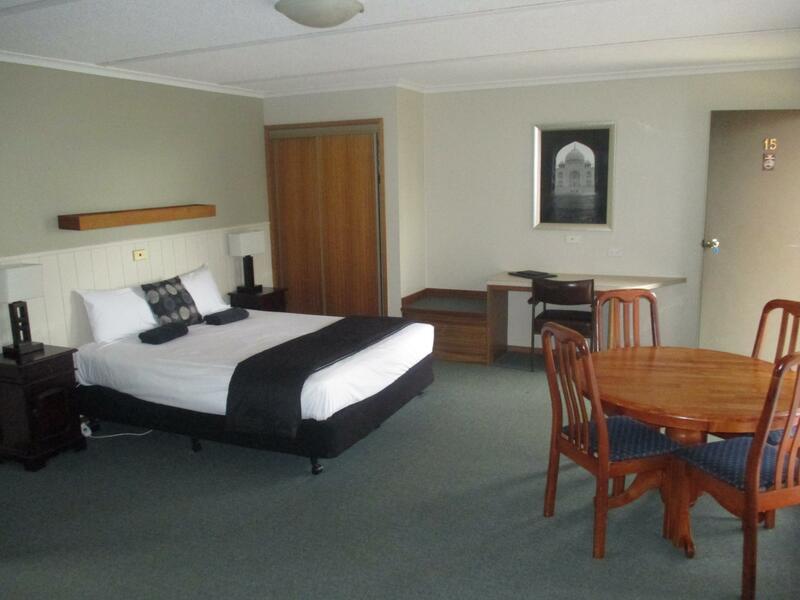 However, having researched accommodation in Warrnambool, this was a reasonably priced facility. We walked to the local Tavern/Brewery which was very nice - great meals and drink prices very reasonable. Overall, Satsifactory. We love the place. It’s very well kept & it’s near to Armanda Shopping Mall & eating places. The surrounding is quiet & peaceful. Owner of the place is an old couple who’s really helpful. I would certainly stay at the same place when I come by again! Check in reception gave good recommendations for places to visit and food options in town, Parking available right at the doorstep, room was warm and cosy with kitchenette for simple cooking. Room was warm and cosy with kitchenette for simple cooking. Check in reception gave good recommendations for places to visit and food options in town. Parking available right at the doorstep for easy loading and unloading of luggage. Handy location , only a few minutes walk to pubs and takeaway, quiet location. Room was clean and comfortable, bed was great . Little kitchen area with all the basics needed. Everything was in good working order. Nice TV, good size, and no noise from other rooms. Overall a nice little motel, in a gorgeous little town. Booked a family room for 4 persons. Very nice place to stay although we just spent a night over there. Given map and a 15% discount for meal in Image Restaurant from reception. 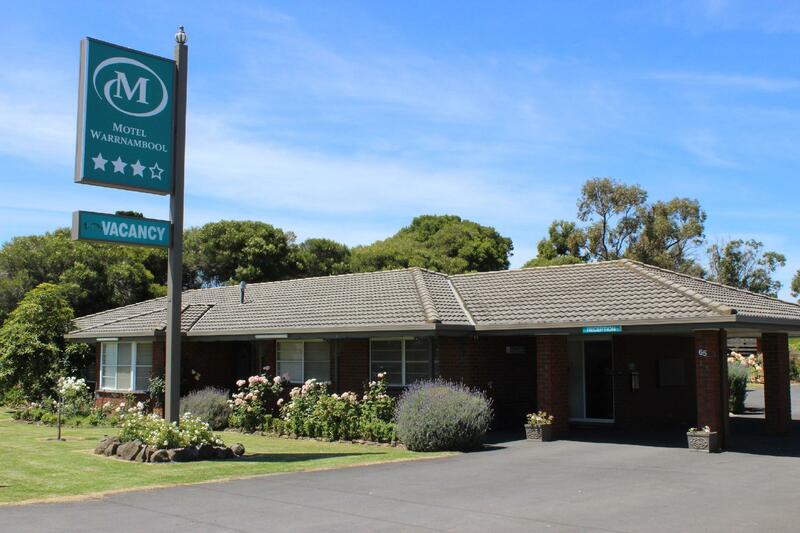 Would highly recommend to stay in this motel if planning to go Warrnambool. 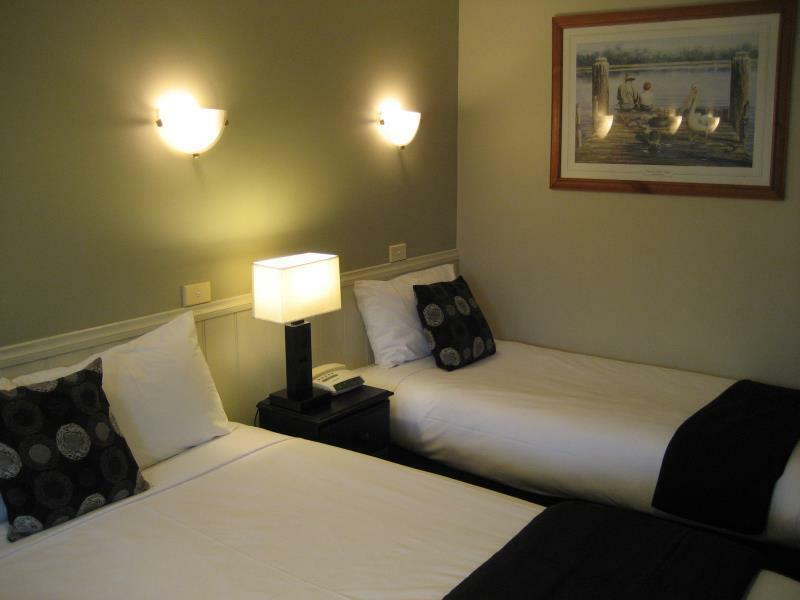 We enjoyed our one night stay here as a stopover for our great ocean road trip. 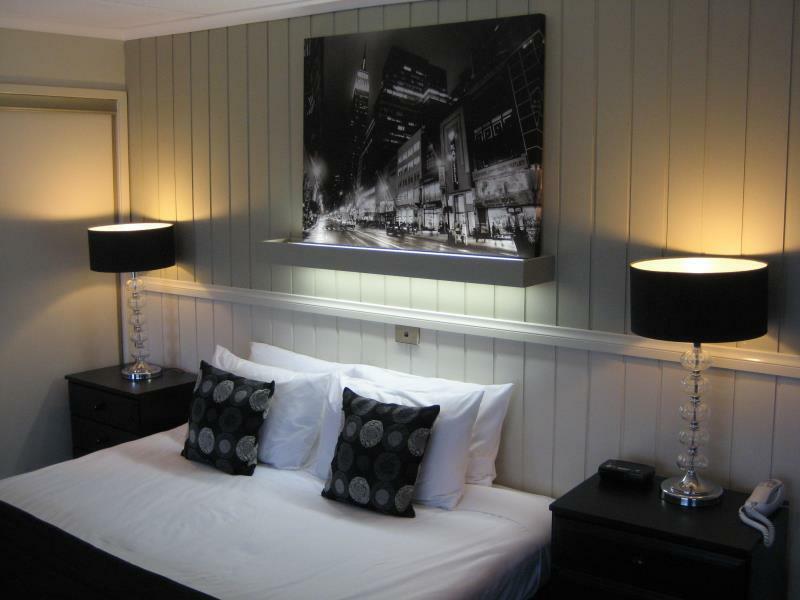 The room was very clean, cosy and comfortable. The motel wasn't too far from a number of good restaurants by car. Would recommend fellow travellers taking the same road trip! Good motel for short stay. Wifi is reasonable. A bit far from city centre but not an issue if you have a car and esp since gateway centre is just close by. It is bit noisy from the trucks and cars passing by the highway but this is not very bothersome.